As we can see in the H4 chart, there was a convergence on MACD that made GBPUSD start a new correctional uptrend, which has already reached the retracement of 38.2%. In the future, the correction may continue towards the retracements of 50.0% and 61.8% at 1.2848 and 1.2954 respectively. The support level is at 1.2610. 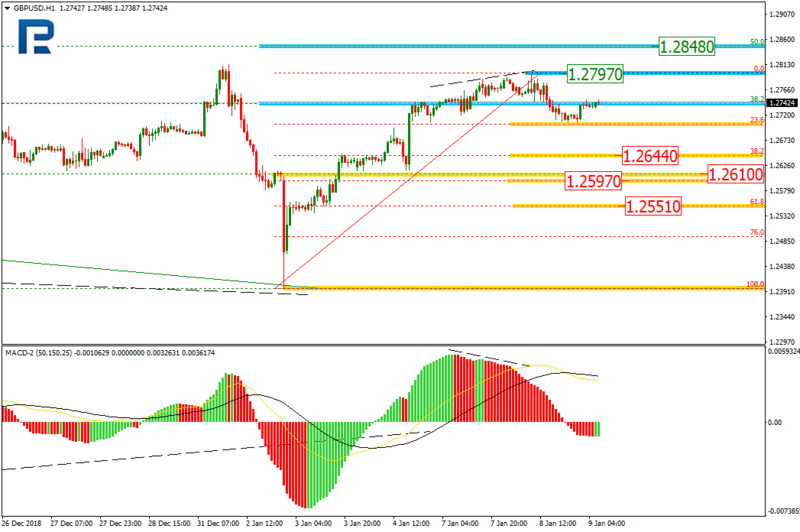 In the H1 chart, there was a divergence on MACD, which made the pair start a new pullback that has already reached the retracement of 23.6%. 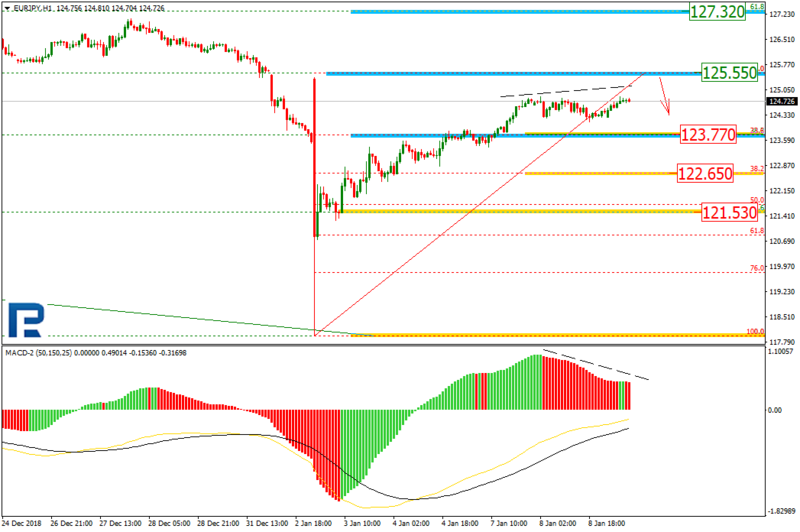 The next possible targets are the retracements of 38.2%, 50.0%, and 61.8% at 1.2644, 1.2597, and 1.2551 respectively. If the price breaks the local high at 1.2797, the instrument may continue growing towards its mid-term targets. As we can see in the H4 chart, after finishing the quick descending impulse, EURJPY is forming a new pullback towards the retracements of 50.0% and 61.8% at 125.55 and 127.32 respectively. The support level is at 121.53. 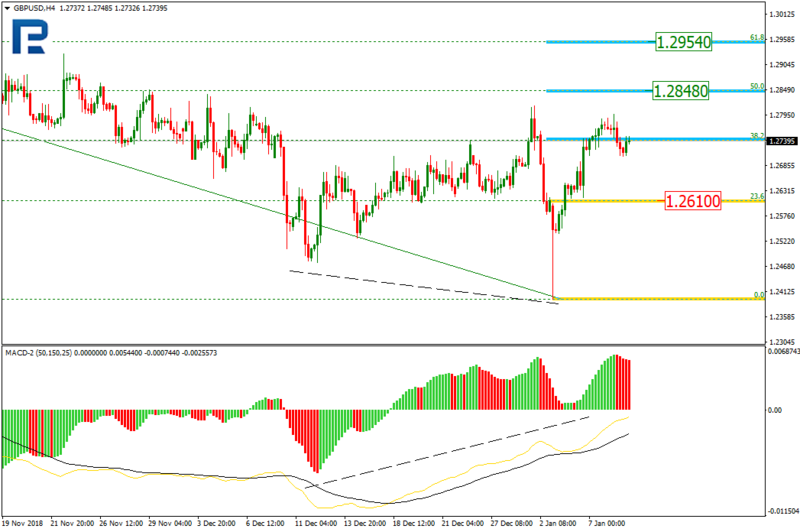 In the H1 chart, there is a divergence on MACD, which may indicate a new correction after the instrument reaches the target at 125.55. 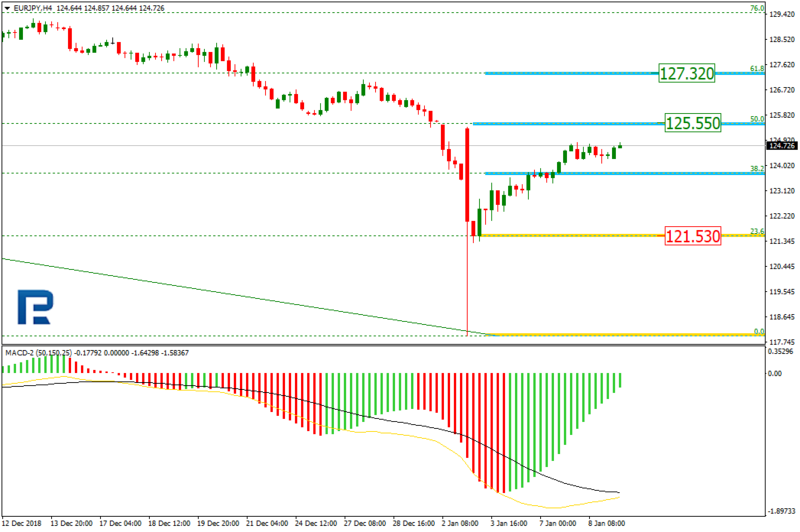 The possible targets of this correction may be the retracements of 23.6% and 38.2% at 123.77 and 122.65 respectively.